Area North are an approved supplier of IOSH courses. You will find further information and details relating to each course we offer below. If however you have any specific requirements, or do not see the course you are looking for, please don’t hesitate to get in touch. 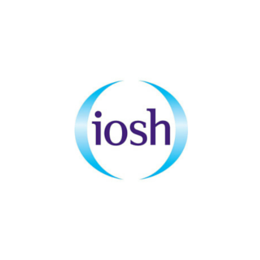 The 3 Day IOSH Managing Safely course is aimed at managers and supervisors in any sector and any organisation who are required to manage risk and resources within their organisation. It aims to ensure that health and safety requirements are appreciated by people employed as line managers, and to enable them to review their own departmental systems for safety, introduce new controls or implement changes as appropriate to ensure health and safety in the workplace. The one-day IOSH Refresher course is designed for those who have completed the IOSH Managing Safely course within the last three years to provide continued support to managers in dealing with health and safety issues in the workplace. The IOSH Working Safely is a one-day course for people at any level, in any sector, needing a grounding of health and safety. It focuses on why health and safety is important, and how you can make a real difference to the wellbeing of yourself and others through changing your behaviour. It focuses on best practice rather than legislation, it's suitable for delegates from around the world, and not just those from the UK.